Green heating and cooling technologies are an efficient and cost-effective way to make your home comfortable year round. These technologies not only help save you money on energy costs for years to come, but also help Cambridge decrease its overall carbon footprint, benefiting your neighbors and our city. Air source heat pumps are a clean technology you can use to both heat and cool your home. There are a number of economic, environmental and health benefits associated with installing air source heat pumps. 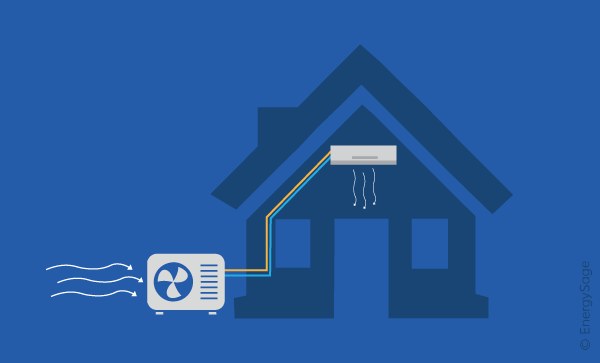 Learn all about air this technology and whether they’re the right option for you. 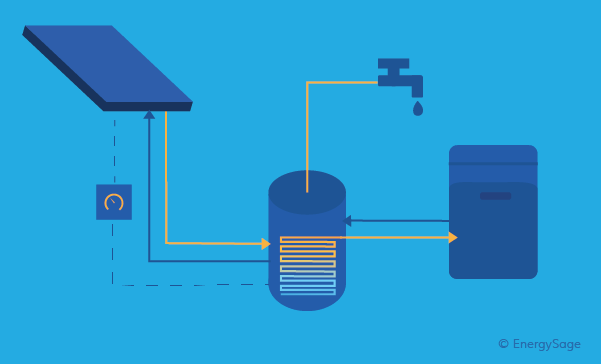 You can use the power of the sun to your home's water supply. A solar hot water system can help you save you on electricity and gas costs while decreasing your carbon footprint. Read on for more information about solar hot water, the costs of installing a system, and more. We have pre-screened a handful of high quality installers to provide you with quotes for your project. The widespread use of green heating and cooling technologies means less greenhouse gas emmisions and pollutants entering our atmosphere. Though often more expensive upfront, both air source heat pumps and solar hot water systems will help save you money on your energy bills throughout their lifetime. As Cambridge's reliance on fossil fuels lessens, so will the amount of pollutants in the air, improving air quality throughout the country. Air source heat pumps and solar hot water systems operate very quietly in comparison to other heating and cooling technolgies, ensuring comfortability throughout your living space. Solar hot water and air source heat pump systems installations in Massachusetts qualify for the Alternative Energy Certificate (AEC) program. With this program, non-emitting renewable technologies generate certificates based on their energy production. These certificates are sellable to utility companies looking to meet state-mandated renewable energy goals. The revenue earned from these certificates will help you to further save on your solar hot water or air source heat pump installation. Learn more about AECs by visiting the Mass DOER website. If you're installing a solar hot water system or air source heat pumps, you may be elgible for a 0% interest HEAT Loan from Mass Save. You can finance up to $25,000 of home energy efficiency upgrades. Find out more about Mass Save's HEAT Loan program. Massachusetts has a host of incentives and rebates available to help decrease your investment for green heating and cooling technologies. Learn more about rebates available from Mass Save, or apply for the rebates here. "Reducing our carbon footprint by using the heat of the sun!" 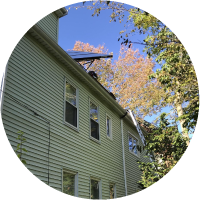 Mina of Cambridge installed a few solar collectors to heat her multifamily residence. The system provides hot water for two families in the building, and covers roughly 50-74% of their total hot water needs. They decided to install solar thermal after learning that their roof wasn't good for solar PV because of limited roof space- with this technology, she's still benefiting from solar energy and reducing her carbon footprint! Read more about her solar hot water installation. Seth F. installed mini-splits for his mutli-family home in Massachusetts. With the zero-interest HEAT loan allowed him to put no money down for his installation and still save $1,000 a year. His mini-splits are paired with solar PV and insulation from MassSave. The system also covers 100% of his heating and cooling needs: "Don't be afraid of relying on heat pumps as your sole heating system--cold climate heat pumps have plenty of power as long as your home is insulated properly." 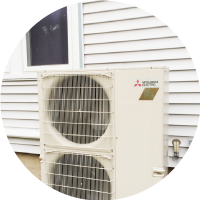 Learn more about his heat pump installation. We have pre-screened a handful of high quality installers to provide you with quotes for your green heating and cooling project(s).